Charity governance is very much in the spotlight at the moment and with recent changes to annual returns for charities, it’s important that charities are aware of what they are required do to ensure that they comply. Doug Perry, partner at Clayton & Brewill, explains the changes and what it means for charities. The CCEW is concerned that those given the job of submitting small charity annual returns should be sufficiently skilled to perform the role accurately. It highlighted the fact that failure to provide accurate financial information can be misleading and negatively impact levels of trust in the general public. Charity annual returns must be submitted no later than 10 months after the end of the financial year, and charity trustees must keep the charity’s registered details up to date. In the 2018 return, new questions are introduced, which can be previewed before signing in. Some are optional for 2018, but mandatory from 2019. They are intended to allay public concerns, for example about high levels of pay in charities, or to highlight possible areas of risk, say in relation to money transfer overseas. Overseas expenditure is another area of scrutiny. Charities spending money outside England and Wales will need to explain if they have transferred money overseas by a means other than the regulated banking system. Other questions concern controls to monitor overseas expenditure, and whether trustees are satisfied that risk management policies and procedures are adequate for charity activities and place of operations. These are mandatory from 2019, but optional for 2018. 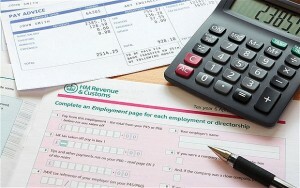 Questions about income received from outside the UK are also introduced. Again, some are optional. The new returns will mean some additional work for charities and may also require a change to financial systems to capture relevant detail. With charity governance very much under scrutiny, it’s important to seek professional advice to ensure you are submitting accurate financial information. We work with numerous charities providing advice and support to ensure they meet their requirements. For more information on the changes to annual returns, please don’t hesitate to get in touch.